We previously shared a day in the life of one of our guests, Nicholas, with you. This 13-year-old boy is staying with us while he waits for a heart transplant. While you saw what his typical day is like, we wanted to share some special moments, too. A lot has changed in Nicholas’ life over the past couple of months, but his friends and family have been there for him every step of the way. The hardest part about being in Birmingham for Nicholas has been being far away from those he cares the most about. Nicholas is from Ranburne, Alabama, which is several hours away. Sure, he can talk to them and even video chat with them when he wants, but it is not the same. Some of his family made a special trip to Birmingham to visit him. They’ve only been able to see him a handful of times since he has been here. For this visit, the family made sure they had a fun day planned! 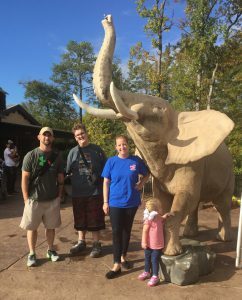 With beautiful weather in Birmingham, the Welch family headed to the Birmingham Zoo. This was a great way for him to spend the day with his family and for everyone to have some fun. It also provided an opportunity for Nicholas to forget about the medical tests he is undergoing while he waits for a new heart. 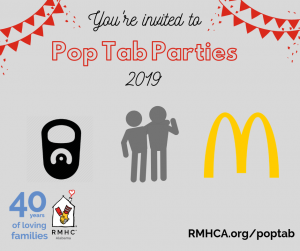 *Special thanks to the Birmingham Zoo for donating tickets to the Ronald McDonald House.